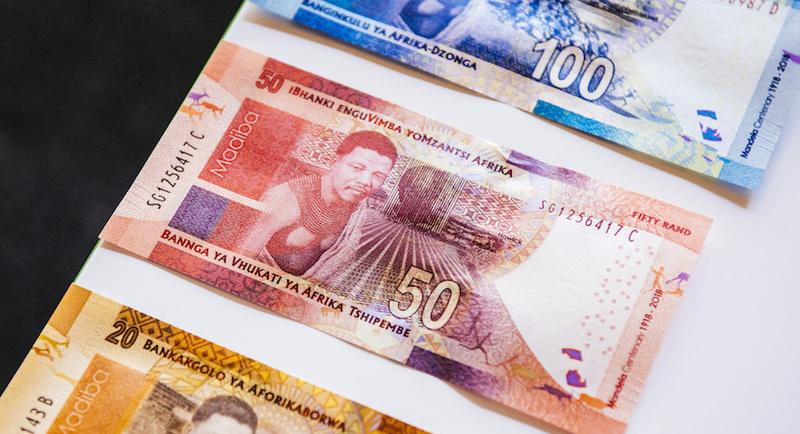 (Bloomberg) – South Africa’s rand plunged the most in almost a decade and Mexico’s peso slumped as financial turmoil in Turkey sapped demand for emerging-market assets. The two currencies fell along with their developing-nation peers as Turkey’s lira tumbled for a fourth day after President Recep Tayyip Erdogan showed no signs of backing down in a standoff with the US administration. As investors worry about the country sliding toward a full-blown financial crisis, traders are trimming their holdings of developing-nation securities. Investors were already cautious about emerging markets as the prospect of a global trade war compounded concerns about a more hawkish Federal Reserve and European Central Bank. In South Africa, uncertainty about the ruling party’s policies on land and mining has also contributed to the rand slumping more than 15 percent decline against the dollar this year. The rand was 4 percent lower at 14.6617 per dollar as of 12:55 p.m. in Tokyo on Monday after sliding as much as 9.4 percent, the most since October 2008. Mexico’s peso slid as much as 2.3 percent, the biggest decline since January 2017. Emerging Asian foreign-exchange markets were also hit, though to a lesser degree. India’s rupee dropped to a new record low, while the Indonesian rupiah slumped 0.9 percent. Healthy foreign-exchange reserves and robust fundamentals mean Asia’s emerging economies are in a strong position to withstand any external shocks, said Trinh Nguyen, a senior economist for emerging-market Asia at Natixis Asia Ltd. in Hong Kong.